Ben Hutman is an associate in Sadis & Goldberg’s Securities Litigation Group. Mr. Hutman concentrates his practice on complex commercial and appellate litigation matters. 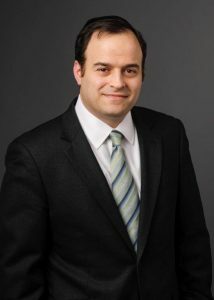 He has represented a variety of clients in federal courts, state courts, arbitration proceedings, and mediations on diverse matters, including securities litigation, commercial contract disputes, shareholder derivative suits, and False Claims Act actions. Prior to joining Sadis & Goldberg, Mr. Hutman was an associate at Boies, Schiller & Flexner, LLP working in the complex litigation group.